We've been wanting to rework this dresser for years but we've done a fairly good job at putting it off. This ended up being a good thing since it is the perfect height/size for a changing table. We performed a fairly simple makeover on this guy but it had a huge impact. We actually did nothing to the main part of the dresser. It's a little beat up but we like the character of it and we figured it will just get more beat up so in the future we'll makeover that part. What we did makeover are the drawer fronts. Nate sanded them down, primed and painted them white and we replaced the old, gold, not our style drawer pulls with the same zebra pulls as the other dresser in the room. 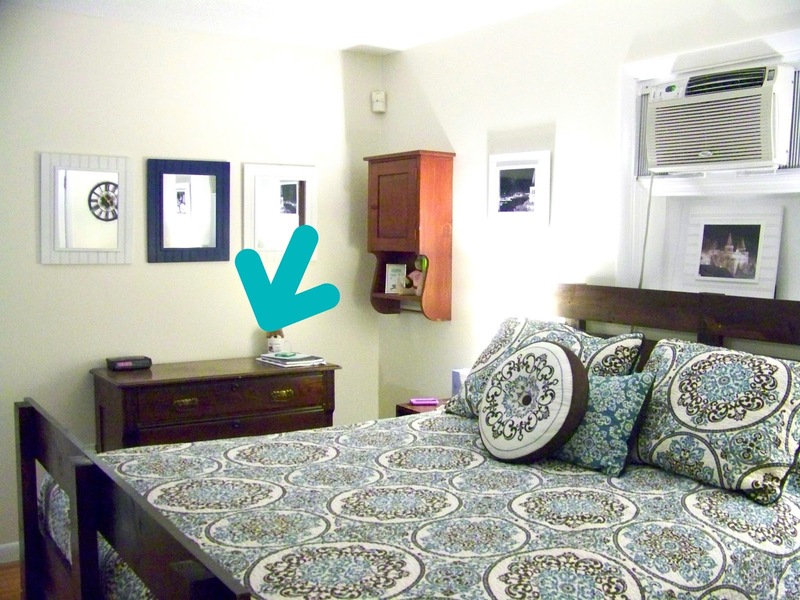 You'll also notice that it is the inverse, color wise, of the other dresser so it looks like they go together without being too matchy. My parents bought us a changing pad that has tabs on the back so that we simply attached the tabs to the back of the dresser with a couple of screws and Viola! 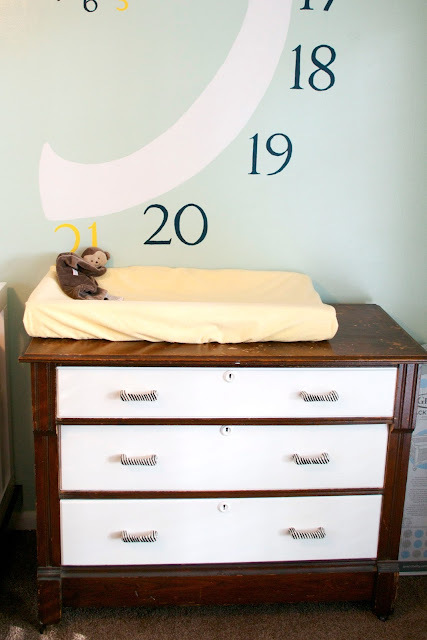 instant changing table. 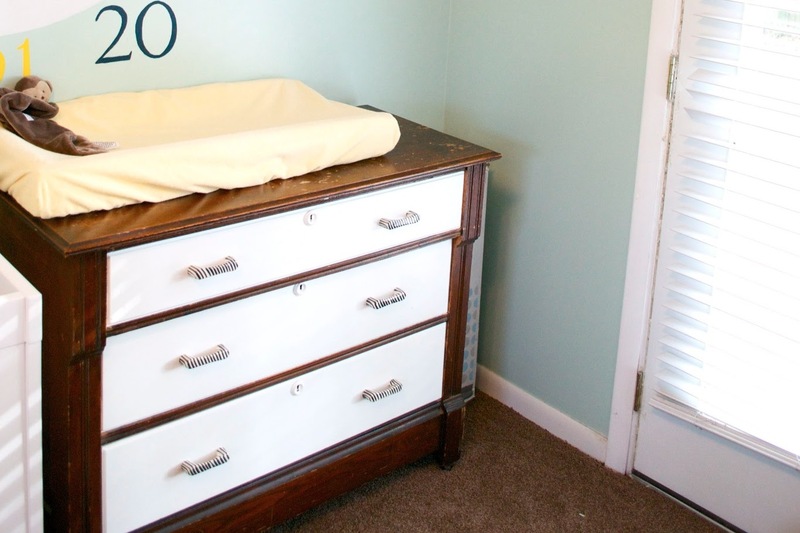 The drawers are perfect for storing diapers, wipes and anything else we need at arms reach! Once again, for basically the price of new drawer pulls, we have a completely different looking dresser.